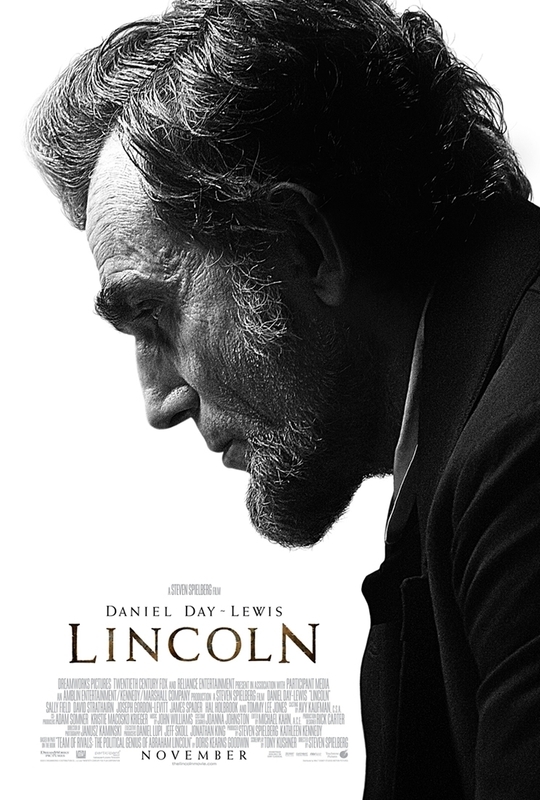 Before you settle down for 2+ hours of Lincoln, be aware that this is not a biopic of the President’s entire life. This movie covers the last 4 months of Lincoln’s life and focuses specifically on his efforts to end the Civil War and also pass the 13th Amendment. Any history buff will love this movie because it is very detailed and it shows the ‘behind closed doors’ conversations between Lincoln, his staff, and his political opponents. This isn’t a heavy-handed history lesson, though, and Lincoln proves to be entertaining and informative at the same time. The Civil War serves as a backdrop for the movie, and if you were expecting huge battle scenes you won’t get them here. The action mostly takes place in the White House, which is shown far differently than most TV shows and movies will depict it. Lincoln’s White House isn’t a glistening white castle with sunlight poring in from every window. Instead it’s dimly lit, modestly furnished, and is purely more functional as a meeting place than a historical landmark. Of course, Daniel Day-Lewis gives the movie’s best performance, and he is endearing as President Lincoln. I think it helps that Day-Lewis isn’t an overexposed celebrity like your Brad Pitts, Tom Cruises, etc. Sometimes you’ll see a big star play a character but it’s hard for the actor to ‘disappear’ into the role because you see their face plastered all over magazines and internet ads. It’s different with Day-Lewis because he is so reclusive and private. When I watched him on the screen all I could see was Lincoln- his beard, his lanky body, his gentle eyes. If I had to find a fault with the movie, I’d offer Sally Fields’ performance. I felt she was too hardened and a little over the top with her performance, and it stuck out like a sore thumb when compared to the other actors who put a lid on the theatrics. Joseph Gordon-Levitt was also approaching the overacting territory as he played Lincoln’s son Robert Todd, but his character wasn’t central to the plot of the movie so I mostly ignored it. This movie is worth the time and the price to see it in theaters, even if you only want to see Day-Lewis’ performance for which I’m sure he’ll win an Oscar. Thank you for commenting, Amanda! I do know that Mary Todd Lincoln had mental and emotional issues but I can’t stop thinking that Sally Field probably wasn’t the best for the role. But, if I had lost a son and then heard that one of my other sons wanted to join the war I’d flip out too, I think. I will have to rewatch this when it comes out on DVD and see if my opinion changes.